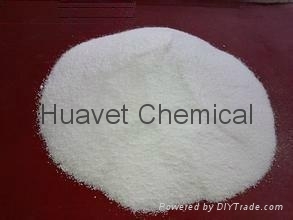 Character: It is white or white alike powder. Pharmacy: It has high performance antiscolic function on eelworm of gastrointestinal tract and good effect on cestode and trichina. It mainly be used on curing helminthiasis of pig, chicken, turkey and wildfowl. This product is absorbed little in gastrointestinal tract, most of which is excreted along with the dejecta in the form of original forms. The absorbed parts will be metabolized soon, and concentration of it in blood and urine is very low. Indication: To lustrate gastrointestinal tract eelworm and cestode of pig and chicken. Usage and Dosage: Calculate according to Flubendazole. For mixing in feed: common dosage pig 30g/1000kg feed For continuously use 5-10 days; chicken For continuously use 4-7 days. Warning: It is forbidden to use on gestation animals. Withdrawal Time: pig 14 days, chicken 14 days.